Omni Casino is a site with a very long history. A great reputation was established over the many years of operating on the market. The website features images of fire and burning flames, perhaps in order to point to the hot game offer. Since the casino has won thirty-three industry awards, the expectations of the reviewer are rather high. While the page itself did not feature some spectacular design, the content seems to be attracting traffic. So it's good to find out what exactly makes the casino so appealing to players. Currently, the casino features six major promotions. The one that often attracts the visitors, mainly the welcome bonus, is quite standard. Basically, it is a 100% up to $/€/£ 100 offer. It is received immediately after the first deposit is made on the website. If a player chooses to deposit $50, the bonus of $50 will be added for the games. Then there is the reload bonus. This deal allows the player to collect $/€/£ 200 as soon soon as the second deposit is made at the venue. A weekly Omni Casino Bonus deal offer is also highlighted. A first deposit made on a Sunday gets rewarded with $/€/£ 115. High rollers will love the place, since it is possible to receive a huge bonus with that status. $500 can be collected on the first deposit bonus of $1000. When a deposit is made through alternative deposit methods (Neteller, Click2Pay, Moneybookers, PaySafecard, Ukash EntroPay, ClickandBuy), 10% bonus is given out in return. So it makes sense to use these methods as opposed to other accepted methods such as; Visa and MasterCard. The loyalty program is also worth mentioning. One omni point is collected for every $/€/£ 10 bet on the site. The residents of certain countries will not be able to benefit from the deals & games at the casino. Here are the countries with the specified restrictions; United States, France, Afghanistan, Bulgaria, China, Cuba, Curacao, Cyprus, Estonia, Hong Kong, Iran, Iraq, Israel, Libya, Macau, Netherlands Antilles, Saychelles, Sudan, Serbia, Spain, Syria, The Philippines, Turkey and the United Kingdom. Only three languages are supported on the site. The speakers of these languages can access the casino pages in their native language. Here are the supported languages; English, German and Japanese. There is wider currency support. The players get to choose between instant play games and download-based games. There are over 200 titles that can be accessed at Omni Casino. There is no indication as to which of the available games have been getting the most traffic. The nice thing is that new games get added to the line-up on a regular basis. Here are just a few games that have appeared in the section; Ghost Rider, John Wayne & Thor. The game categories are quite unique. For example, the website features Marvel Slots as well as Fixed Odds games. 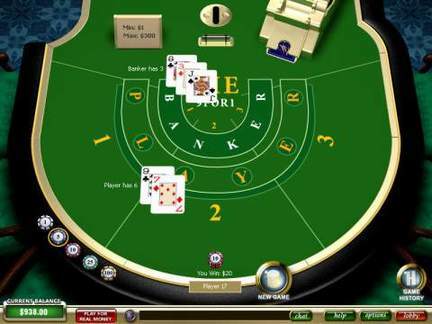 It also features categories that are commonly seen at other casinos such as; Table Games (example: Blackjack Surrender, Lucky Blackjack, Blackjack Switch, Caribbean Stud Poker, Craps,Sic Bo, Red Dog), Video Poker (Deuces Wild, Aces and Faces), Progressive Slots (Wall Street, Cinerama, Fruit Mania), Roulette & Scratch Cards. The casino has a fantastic reputation. The fact that it has been in business for an extended period of time certainly helps. Player rankings typically place the casino way above average, which encourages further traffic. The isolated complaints have been quickly resolved to the point where no major complaints can be discovered. The e-mail support, telephone support and live chat (not always available) help to create a nice customer support service. Despite its great reputation, the casino has chosen to be licensed by a mediocre licensing body, mainly the Government of Curacao. The Curacao license lacks the prestige of better known licensing authorities. But the license doesn't prevent the casino from achieving its goals and receiving steady traffic flow. The venue is owned by Peak Interactive N.V., which is a world leader in online forms of entertainment. I love to play on stable and tested casino sites. This one has everything that I need to spend some good time. The entertainment is fantastic with a nice choice of games (200 games is more than I need), while the promotions provide the desired extra money. In terms of the games, I was most pleased to see the Marvel Slots. They are incredibly fun and entertaining! The only truly negative feature is the overly simple web design. However, the content makes up for that particular weakness.